StudioBlue is a smooth design for those looking for smooth experience for their users. 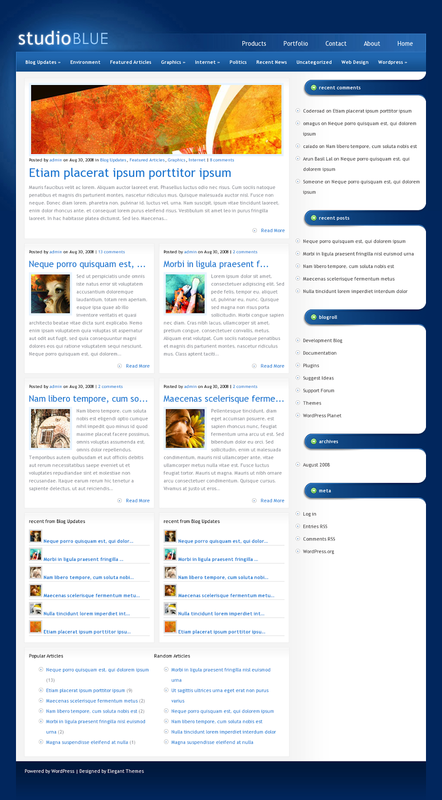 I added some additional theme options with this one, including control over how many featured posts/recent posts are displayed on the homepage, which links are displayed in the navigation menus, and more. Refer to the list below for a full list of features.